Underbody: Closed cell foam, roughly one cubic centimeter in size cut into an egg shape. I think the foam bodies used for Jennings ultimate boatman should work as well but you might have to trim it. 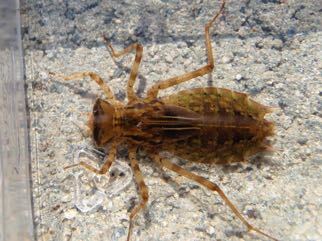 In the opposite direction wrap the wire around the abdomen to form segmentation. 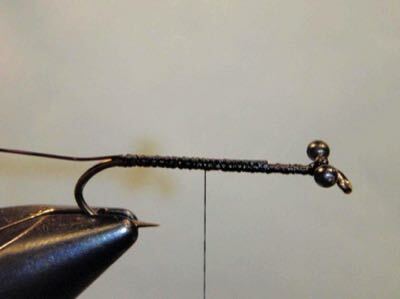 The wire will also protect the fly and help it last longer. 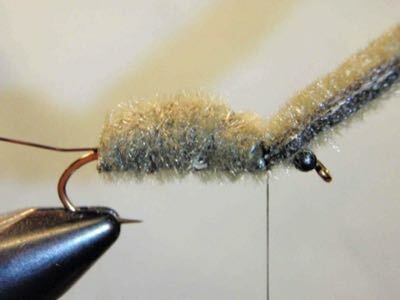 Fold the furry foam back and secure with a few wraps of tying thread. Wrap the furry foam forward around the closed cell foam and tie down with thread. Tie in first a piece of furry foam ~1 cm wide and ~8 cm long. Next tie in the cube of furry foam. 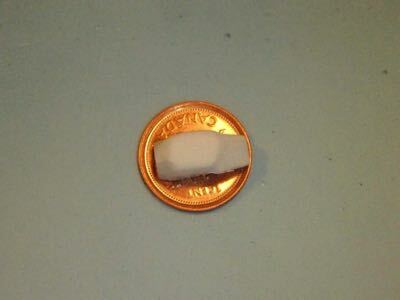 Cut a piece of closed cell foam one cubic centimetre in size. If you cannot find closed cell foam, Jennings Ultimate Boatman 7/8” foam body is a good alternative. 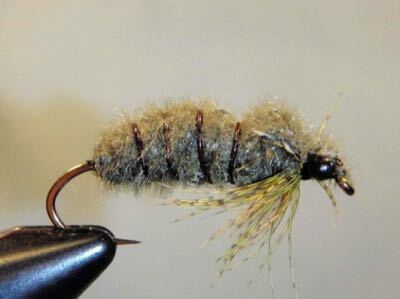 The purpose of the foam is to suspend the fly just of the bottom to avoid snags and to form the basis for the shape of the abdomen. 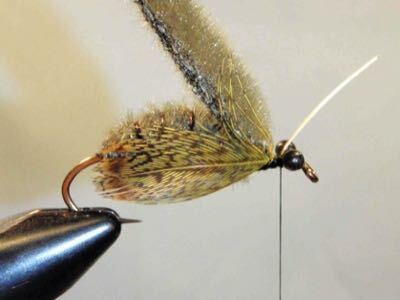 Tie in the partridge feather and wrap the partridge feather around the hook hackle style. 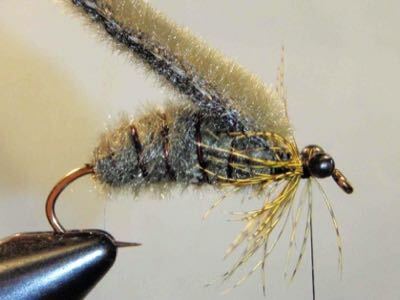 Fold the furry foam forward to form a wing case and thorax. Secure with a few wraps behind and in front of the eyes. 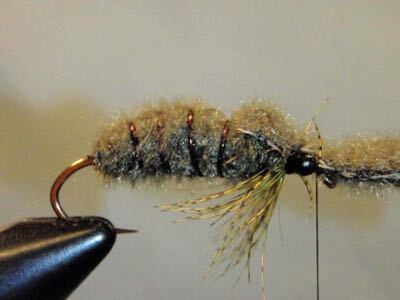 Cut the furry foam and finish the fly.